Polka Dot Overload | Sewing, knitting & vintage projects, tips, tutorials and cartoons! : Wardrobe Rescue: The Mending Pile Attacks! It's a thingie, it's a whatsit, it's a ... darning egg! Can't blog much tonight folks, because I'm busy DARNING my socks. It's all very 1940s of me, don't you think? Could I be MORE glamorous? Seriously, I've been doing quite a bit of sewing these past few days (despite an awful cold virus that has been making myself, the mister and the toddler totally miserable) but none of it has been the exciting Big Reveal kind. Just a lot of patching and mending and button-replacing and, as of a few minutes from now, SOCK DARNING. Although I generally avoid my mending pile like the plague, when I actually force myself to attack it I really enjoy fixing those little things that will bring a garment back from the dead to wear-ability land. I know some people would rather replace T-shirts and socks rather than fix them, but when it's one of my husband's really nice arty silk-screened tees or one of my snuggly pairs of expensive (or handknit) wool socks, I'd rather fix them. So are you a make do and mender, a regular fix-it guy or gal? Or do you prefer to move on and let your holey socks go to the great holey sock basket in the sky? Glad to find another glamorous soul like me!! I have three kids hence I darn. I always carry a special bag with me with clothes to mend or tights to darn. I make this repairs whenever I have 20 minutes left. Waiting for the bus, in the bus, etc. Good luck with your mending pile! I recently found your blog and it´s now one of my favourite reads. Thanks for writing it! Oh gosh, I'm a darner! I thought I was the only one left. Those smartwool socks are expensive! And handknit ones - well, you just have to! I don't have a pretty darning egg, either, although I'd love one. For a while I've been using this big plastic egg - a remnant from an easter basket many years ago. If they're cheapo socks, though, I have no problem tossing them. My latest claim to tightwad fame is that I took the collar off of one of my husband's fav shirts 'cause it was fraying so bad, patched it and re-sewed the collar back on upside down. He was going to wear it anyway, and I didn't want him to look like a bum! I tend to be a fixer with most thing, and am generally willing to pay to have things fixed or mended rather than doing it myself. With clothing, it depends on how much I like it and whether I can get it back to looking good. At the moment I have 2 perfectly good trousers that each have a hem that's come undone waiting to be re-hemmed - I'm telling myself I will do it myself, but I may send them out in the end. Socks generally go into the "dusting rag" bin once they get a hole, although, now that I'm knitting, I may have to reconsider. Normally I don't darn socks, our socks are generally cheap and not worth it. But I have darned good tights, or socks that are irreplaceble (my daughter's Moomin socks, for example). If I had good socks I would do it in a heartbeat! If it's a mishap rather than just plain wearing out I will fix it. I am more apt to extend the useable life of a non-clothing if the fix is going to be obvious, such as my backpack. I patched the bottom with a piece of bright orange linen because it was the strongest fabric i could find in my stash. It's pretty funny. I am only an occasional mender, I'm afraid. I will patch knees, repair hems, and fix busted seams (and of course, sew on buttons). I have never darned anything in my life, to date, but if I had handknit socks, I might. I also admit to outsourcing some of my mending to my trusty local dry-cleaner/alterations folks. They do a perfect job, and it just doesn't cost that much. I'm definitely more interested in making new things than fixing old ones, although I always feel very virtuous when I do get around to repairing something. That's a great darning tutorial! Usually they instruct you to weave yarn over the hole but that doesn't stretch, very important for socks. 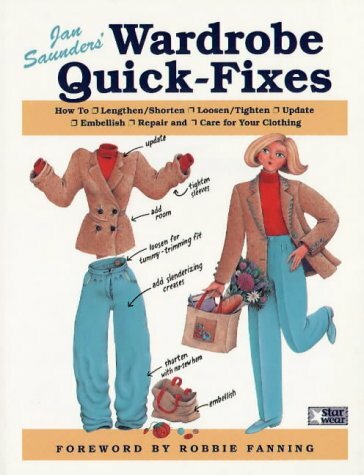 I've darned socks, mended sweaters, and alter or mend clothes all the time. Extending the lives of favorite clothes is great. I'm finishing mending a RTW black sweater that acquired a hole, though sadly there wasn't enough light to mend it until spring. It's turning out very well. Thank you all for your comments! That tutorial is really good, Summer--I tried the weaving method on the heel of one sock, and it's really messy looking and not very stretchy, but the duplicate stitch method looks great and is stretchy--it blends in much better.